[Bunnie Huang] is now officially the person who wrote the book on electronics manufacturing in Shenzhen, China. His Crowd Supply campaign for The Essential Guide to Electronics in Shenzhen has blown way past the initial goal. [Bunnie] is the first person who comes to mind for anyone needing help getting their electronics built in the region. The books is meant as a travel companion. Hackaday was in China last June and toured the markets of Hua Qiang Bei. They are incredibly overwhelming, but people are very nice, willing to help, and none of them speak English. [Bunnie’s] approach is pages with squares you can point to in order to express your meaning. Standing at the capacitor stall? There’s a page for that. Gawking at a booth packed full of LEDs and need them in reels instead of tape? That’s in the book too. Even better, this isn’t a one-way thing. You should be able to understand well enough what they vendor is trying to convey as they point at the pages to answer your questions. 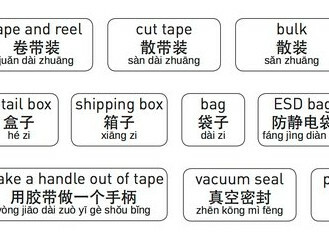 This is certainly better than our method of trying to find pictures of addresses and Chinese characters on our phones. Everything is at the ready. It doesn’t end there. The images of the book’s table of contents shows that you’ll get help with getting into the country, getting around once you’re there, and making the deal when you do find what you need. If you’re ever going to make the trip to Shenzhen, this is the first thing you should put in your backpack. Since you’re already in the mood to purchase something made of paper, we think you’ll be interested you in this gorgeous Hackaday Omnibus Vol 02. It’s 128 pages of the best original content published on Hackaday over the past year, including the stunning artwork of Joe Kim.